Picture this: You’re at the hospital and overjoyed after welcoming your second child into the world. Then, the doctor has terrifying news. Your son has a congenital heart defect. The doctors say he needs open-heart surgery with additional surgeries down the road. Just when you begin to feel your world is collapsing around you, you receive support from an unexpected source: The British Heart Foundation (The BHF). This story was the reality faced by National Sales Manager Joanne V. of Egham, England. While her four-year-old son, Edward, now lives a pretty normal life, his early years were no walk in the park. Thankfully, The BHF offered Joanne resources when she needed them most. It wasn’t long before Joanne decided to pay it forward. In addition to supporting other families whose children have the same condition as Edward, Joanne also raises money for The BHF’s research efforts. This year, she turned to one of her passions to help fundraise. “I started running to help manage the stress of having an ill child and decided I wanted to give something back,” says Joanne. 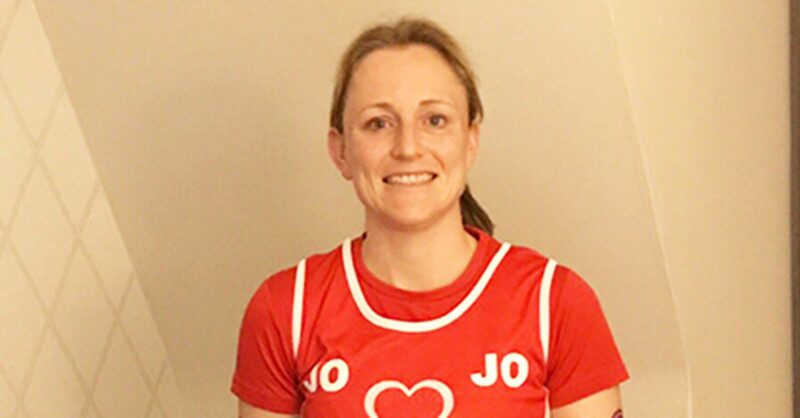 Joanne had already completed three marathons when she signed up for the London Marathon to raise 5,000 pounds (about $6,300) for The BHF. She received a grant from the Enterprise Holdings Foundation to help meet her fundraising goal. The race was a once-in-a-lifetime experience for Joanne. So, how is Edward, you ask? Joanne says he’s a happy kid. Surgeons placed a stent in an artery of his heart when he was six-months old. He’ll need another surgery in a few years as his body grows, but for now, his heart works efficiently.